#1 will be broadcast on September 18. 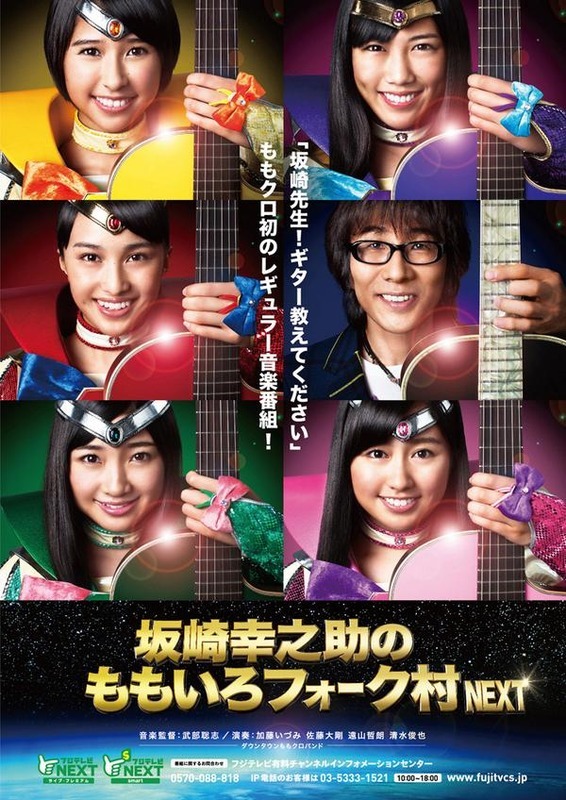 Momoclo will learn to play fork guitar. Wow, a new show dedicated to this....looks like Momoclo management are going the route of improving the girl's musical abilities. None of them play anything righ? I have a feeling Shiorin is going to be better at it. I know man, THIS is what I want. Aarin keyboard, because she looks like a princess, and princesses play piano. Shiorin lead guitar, in a "flames coming out of the guitar and playing it behind her head without blinking" kind of way. So this is going to be a whole series? Nice. It takes a lot of practice though to become decent at an instrument, let's see if the girls can find enough free time in their hectic schedules for it. Aarin already plays guitar for quite some time now, so she should have a good start. But she mentioned on her blog that her progress is very slow, lol. I would only switch Reni and Aarin in that picture. 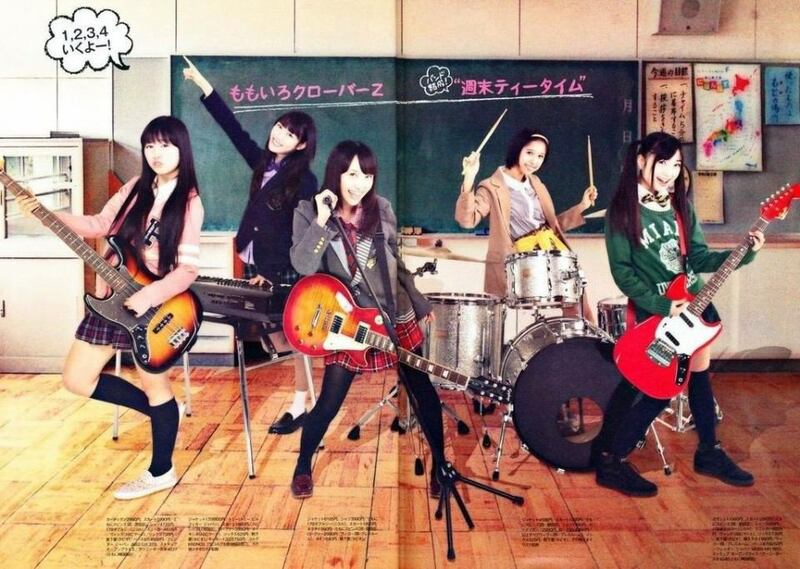 It'd be a better representation of Houkago Tea Time from K-on! I see Reni as a better Mio and Aarin would be a better Tsumugi. Everyone else is fitting for their roles. But, this project will be rather difficult for Momoclo. I will do my best to teach to play guitar to them. I didn't think that my cousin appeared on new TV show together with Momoclo. Fujishita is boss of the stardust section3 and is the senior managing director of company. He is called "Rijichou(理事長 / Representative director of junior high school)". This music program's producer is "Kikuchi Shin / Kikuchi P"
He produced many music programs and events. He transferred his post on June 27. The news has given rise to all sorts of speculation. 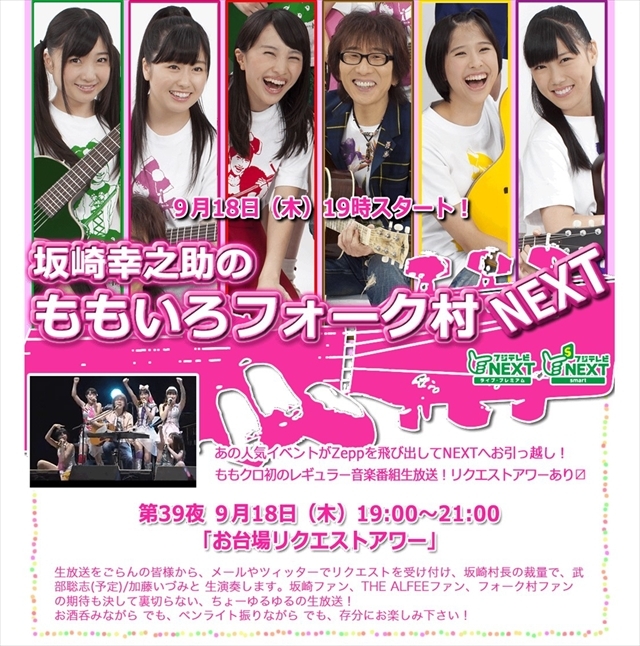 Fuji TV will cancel "Bokura no Ongaku" and "Shin Doumoto Kyoudai" in the end of September. His rule enraged record label and talent agency. Fuji TV decided it in order to control the situation. 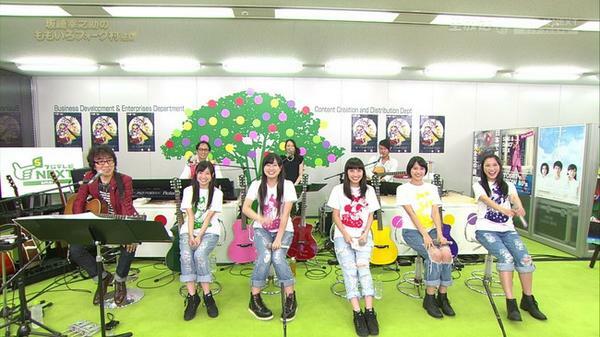 Random, but I was watching the 140715 episode of Momoclo Chan, and noticed the guitars standing in the background during the first segment of the show. Seems like this might have been a first hint at the project before Momoiro Folk Mura was officially announced. That one was used on Evangelion right? I don't know a lot about Evangelion. That song is "Tsubasa wo Kudasai".